My name is Julie McKinney. I live in Charleston, S.C. I am the great granddaughter of Archer Mills Traylor. He was born in 1887 in Washington, D.C. and was also a member of the West River Sailing Club in Galesville, Md. He spent most of his time on the Chesapeake and back and forth to Sarasota, Fl. I am not quite clear on exact dates but I do have some nice photographs that would be relevant to your history. 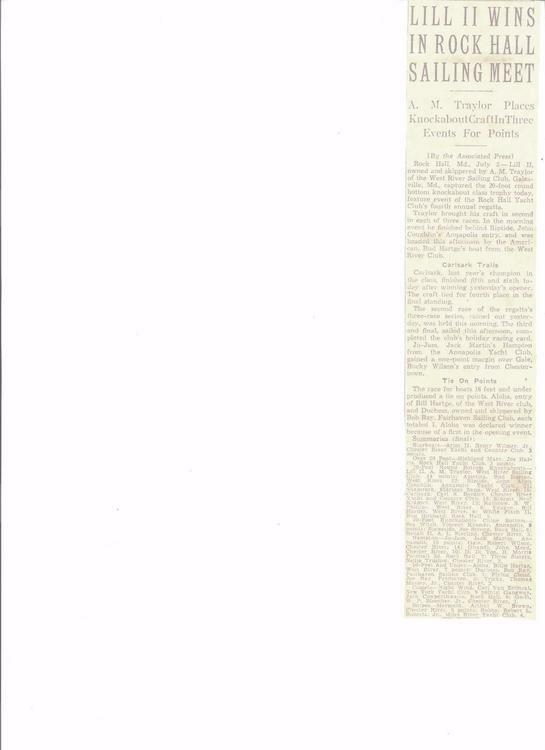 I also have a newspaper clipping where he won the Rock Hall Sailing Meet with his 20 ft. round bottom knockabout, I do not have the date, however, I am assuming it is in the 40's. 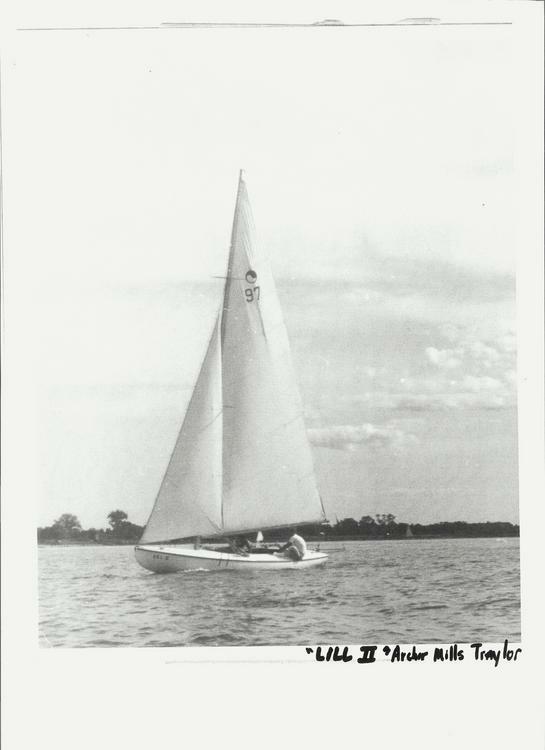 I also have a photograph of a boat that I believe may be "Shamrock" Eldridge Zang's boat? It makes sense that my great grandfather must have been friends with Eldridge Zang, Bill Hartge, Neal Kramer, B. W. Phillips, Bill Harder among others. It appears that they were members of West River and that they raced together quite a bit. 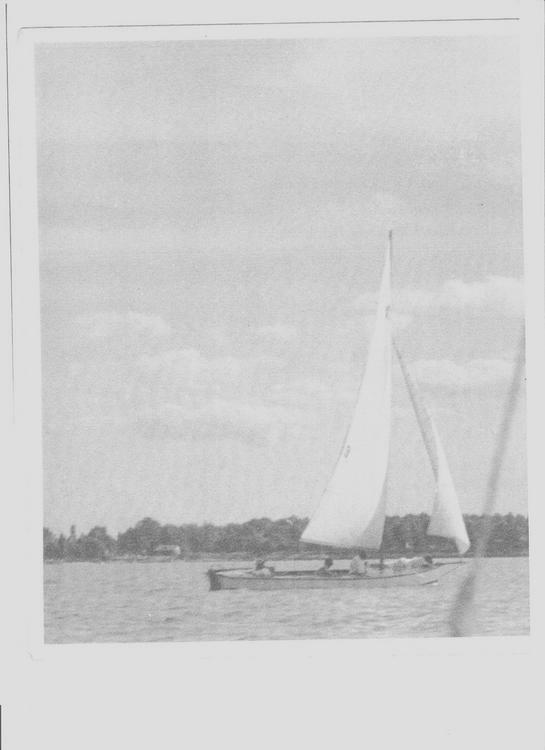 I have many other beautiful photographs of antique boats that, to my knowledge, were owned by my great grandfather. 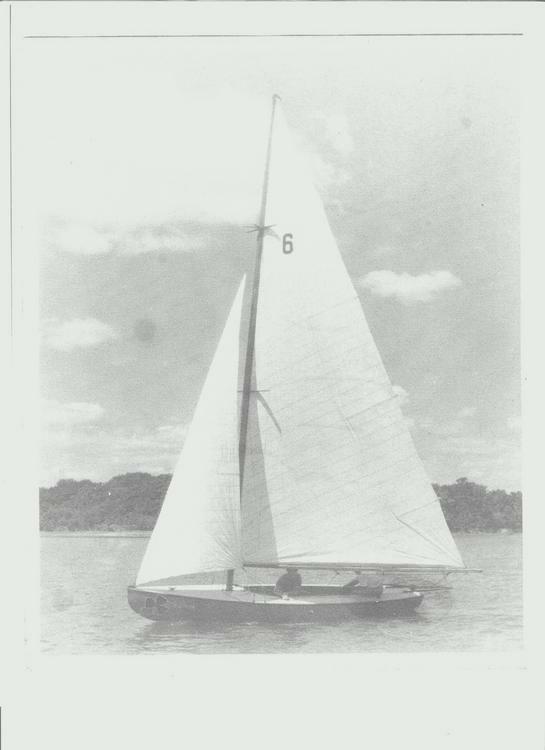 One is a schooner photographed in 1922 on the St. Lucie River, Fla. I also have notes that he wrote as he was sailing to the Panama Canal, etc. Any of this information that you are interested in, I would be happy to share. There are a couple of photographs of Mills and his wife Lillian, hence "LILL II", with some of their "sailing buddies." I do not know who they are but feel certain they are from your area or from Florida. I feel I have a beautiful piece of history that many others could enjoy. I would also be interested if anyone else has any pieces of this history that I might be interested in.